Visual Fidelity: "[A] very real and significant need for high-levels of graphical fidelity to aid in the detailed visualisation of products and services – especially in a manufacturing context..."
Security: "[I]issues range widely from micro-payment fees and financial transfers in obscure currencies to the very real problems associated with IP and content theft which have already occurred in more than one major platform..."
Concurrent Users: "[I]f there is no mechanism for allowing large numbers of people access [a 3D space at the same time], then much of this work is redundant." Dan addresses each point with suggested solutions. With visual fidelity, for example, he argues that virtual worlds should take advantage of the latest 3D rendering technology, such as the Unreal engine or the CryEngine (which powers Blue Mars.) With security, he points to Blue Mars' recent cloud deployment, which will eliminate "[t]the need for encrypted folders to reference assets". 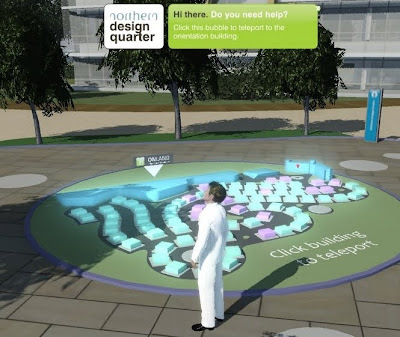 All in all it's good background for enterprise users of 3D spaces and virtual world users -- read it all here.